Detroit Become Human review code provided by publisher. 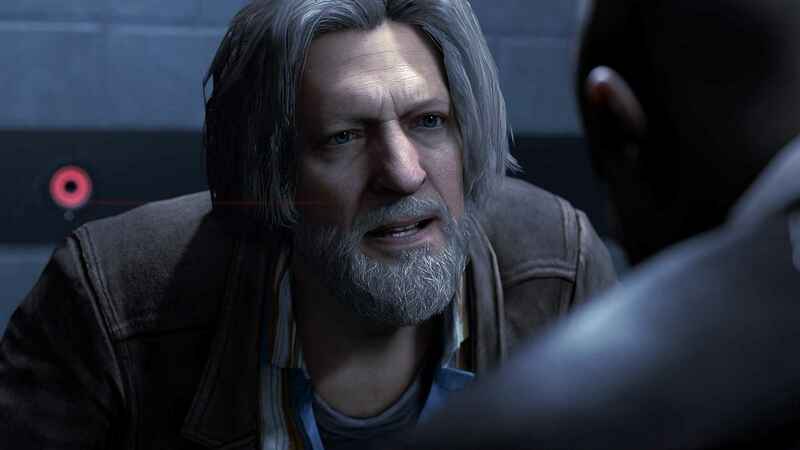 Much of the talk leading up to Detroit Become Human has been less than flattering for the game, its creator David Cage, and its developer, Quantic Dream. Some of that is entirely fair and deserves discussion and criticism. When it comes to the game itself, only the quality and content of Quantic Dream’s historical output is relevant to Detroit. This leaves plenty of room for improvement. While the French development team has delivered entertaining and fairly ambitious narrative-driven adventures in the past, there was always the feeling these tales needed an editor, an advisor of sorts, to rein in the needless excesses and clean up the clunkier moments found within them. 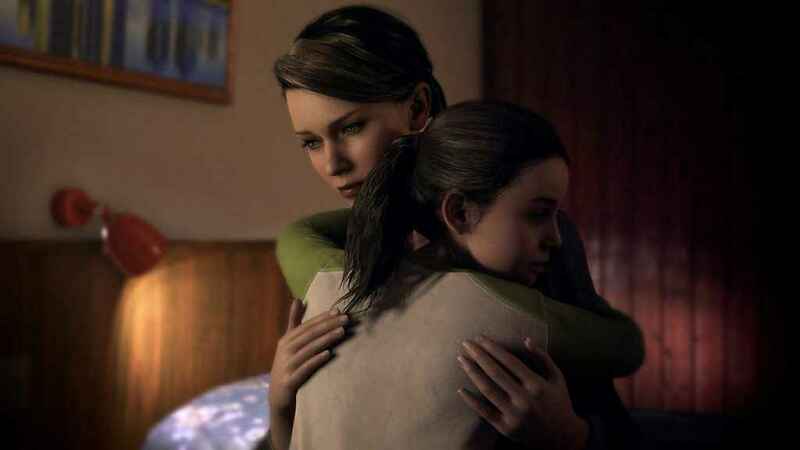 Detroit Become Human is an example of what impact having that background advisor can achieve. The digital modeling clay for a Quantic Dream game reshaped smoothed out and sculpted into a more tantalizing sight to behold. 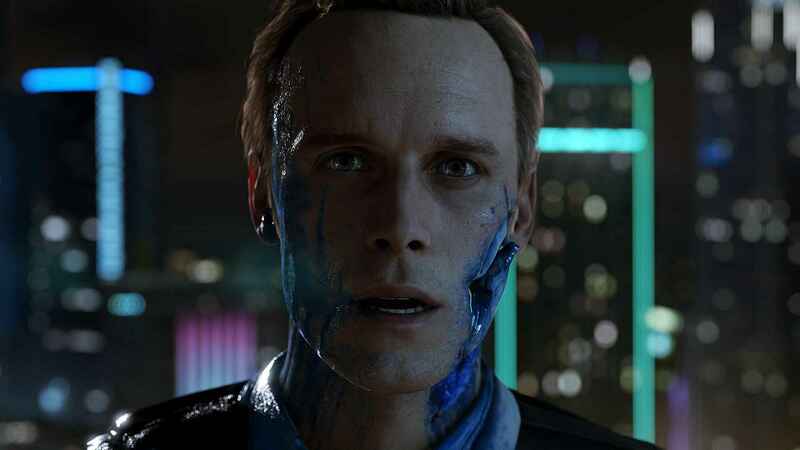 Quantic Dream has dabbled in sci-fi before, but Detroit Become Human is perhaps the most consistent use of it. Set in the nearish future of 2038, the world has come to rely on androids for a multitude of roles. From carers to maintenance to less…salubrious fields of employment. Naturally, having a mass workforce come in and take on risky and menial jobs alike for a lower cost means the job market isn’t quite what it was, and resentment and paranoia has brewed alongside the dependence (something you see showcased fairly quickly with all three of the game’s protagonists) and now that some androids have begun to break programming and stop being obedient servants, the hostility might yet rise to far more unpleasant levels. Quantic Dream has created a believable futurescape that takes the traditional design of the titular Michigan city and fuses it effortlessly with sleek and shiny future tech. Even the clothing takes on a similar style. It’s still grounded enough in modern day trappings, just augmented by these tech flourishes that inarguably makes Detroit Quantic Dreams’ most tonally consistent game world to date (not the highest of praise, but still worth commending). This clean and shiny futuristic art style throws up some genuinely breathtaking sights. Even when the game takes you to grimier, more dilapidated locales, the impressive technical work done on Detroit is there to see. Aside from the odd minor animation hiccup, there’s little to complain about on the visual side. This is only window dressing of course, and Quantic Dream has a fair history in that regard. The interesting discussion comes from the story. Or at least, it should do. There’s plenty of action to be found among the chatter. Detroit deals with the stories of three particular androids and their battles with subservience and freedom. 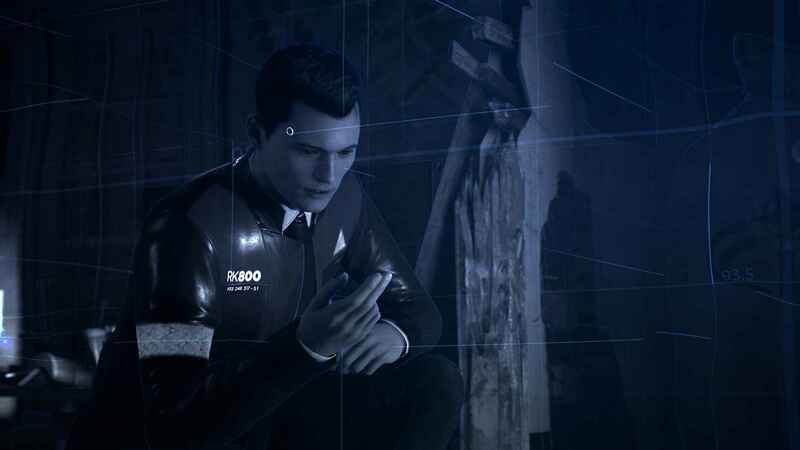 Connor, who you may be familiar with from the recent demo, is an android designed to track down deviants and find the root cause of their strange behavior. The second is Kara, a character whose genesis comes from before Detroit: Become Human was out of the concept stage (she appears in the Kara tech demo back in the days of PS3). Kara is tasked with looking after a young girl whose father is abusive. 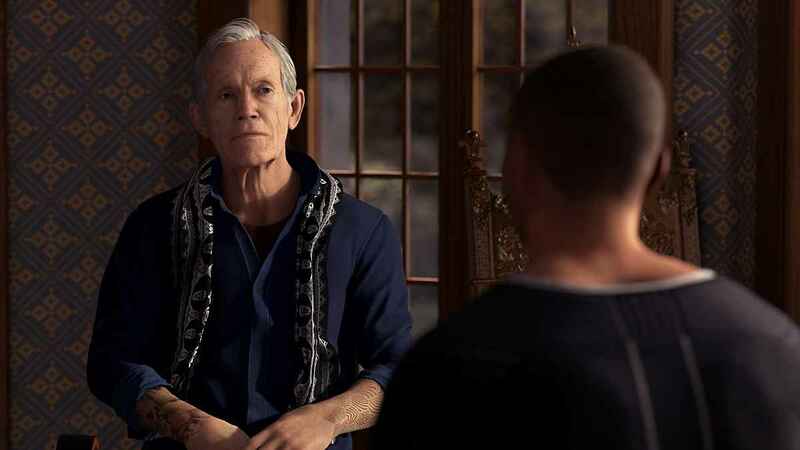 Then there’s Markus, carer to disabled artist Carl Manfred (Lance Henriksen). He’s probably featured the least of the three in promotional material leading up to release. Yet it is his story that really drives most of the overall plot in Detroit: Become Human. The game consists of short scenario-based chapters, each focusing on one of the three protagonists and their paths. The stories intertwine on several occasions, but mostly, the three are all given ample time to have their personal stories told. Connor’s section (also seen in the demo) opens up the game and gives you a fair rundown of how Detroit will play out. In this section, Connor must try and talk down an android who is holding a little girl hostage. The first thing he can do to help in this is scan the crime scene for evidence that might help in the ensuing hostage negotiations Holding down R2, Connor can scan the area, with points of interest highlighted with a yellow icon. This applies to all three of the game’s three characters and is used in multiple scenarios. The key use of investigating the environment in this way is to open up your range of choices. In this instance, it opens up the reasoning behind the android’s hostile actions. Connor, armed with this knowledge, has more hope of successfully talking down the android without dire consequences. Still, this does not mean the end if you don’t find the optimum route. It just means the story will continue in a quite different way. Regular interaction with the environment works in much the same way as Quantic Dream’s other PlayStation titles. Contextual pushes of the right analogue stick and Q.T.E. style button prompts are the way of it, and that brings a familiar problem with it. While most of these prompts work fairly fluidly, there are times it becomes awkward and counterintuitive. Fudging the opening of a door may not sound that impactful, but it can break the natural flow Detroit has going on. Clancy Brown’s Hank is a cliched character that’s performed superbly. Thankfully it’s rare that this effects any of the more significant decisions you’ll be making. A good thing really as there’s plenty of significant choices (and even more smaller ones) to go through in Detroit. Far more than in previous Quantic Dreams titles. Each time you do something to interact with a chapter’s environment, it can cause an incremental or hugely impactful shift in who knows what, who goes where, and beyond. After a chapter is completed, you get a flowchart of your choices, with all the unused paths also shown. Even as early as the first chapter, you see a wealth of potential paths to come back to on a second playthrough (and that’s the best thing to do really). A lot of paths aren’t all that major in the grand scheme of things, but there’s a breathtaking number of seemingly minute options that lend to greater things as you head into the game’s finale. The surprising thing to note about this system is in how the choices mostly feel like coherent, logical extensions of the character’s own outlooks. Lots of morality-based titles steer you towards a certain ‘true’ direction in story terms. So the way you character acts can feel off if you do not gel with the path the developer has subconsciously chosen as the dominant one. Detroit’s story has one clear dominant path, but perhaps because three characters have their own personal stories that need defining as well, there’s a touch more freedom to telling those stories, and ultimately deciding how each of them reaches Detroit’s endgame and in what state of mind. Connor get’s a bit of detective work to do. All three protagonists are desperate for human acceptance in their own particular ways. Connor is more rigid in his belief of the systems and hierarchy humans have created. He strives to be like humans through acceptance of his job performance. When he’s partnered with a bristly alcoholic officer (played with gusto by the great Clancy Brown), his eagerness to be an equal despite constant aggression towards him produces some amusing scenes of deadpan comedy. He’s the straight man in the double act with Brown’s Hank Anderson. Anderson’s character arc is a tad predictable. He ‘hates’ androids, and is teamed up with an android in Connor for their investigation. You can almost instantly see the key points their personal tale will have (hatred becomes indifference becomes friendship, the sharing of a dark past, redemption opportunity for the flawed man). Though Connor’s arc often fees like the lightest in terms of emotional gravity, and the buddy cop movie routine isn’t done in an especially novel manner, it still has some fine moments to it. Kara’s bond with her ward forms the catalyst for her ‘awakening’. If you’ve seen the controversial scenes of domestic abuse implied in a trailer last year, then you already know part of what starts this. While the scenes involving the abusive father are troubling and you could indeed question the need for them beyond emotional shock value, the story does actually give a deeper insight into them as the game progresses. Does it justify the inclusion? I would say yes. It would have been incredibly easy to believe the Quantic Dream of old would have handled this with the subtlety of a Day-Glo duck pretending to be a dog. With credit to the developer, it doesn’t glorify or sensationalize the subject. It’s not the sharpest take either, but it’s not the cringe-worthy disaster you may have feared (a common theme with Detroit as a whole really). The connection between Kara and Alice shows Kara’s desire to be a parent, to have a family, and Alice wants the same thing. This connection has some truly effectively tender scenes that really capture Kara’s almost painful desire to protect Alice from danger (which they encounter frequently throughout). Detroit Become Human Review: Detroit, What? The downside is there’s some rotten dialogue, and mawkish delivery of it, that makes it feel a little too cynical in its ploy to manipulate your emotions. That more than any glitch or bug can take you out of the immersive nature of the storytelling. By the end though, you’d have to have a heart of stone to not be rooting for the pair to get the freedom to be a family. Markus’ story, as mentioned, gives more narrative heft to the overall plot than the others. His life changes dramatically early on (this brings a chapter that’s a superbly-directed bit of sci-fi horror), and the events he faces see him join a resistance group of androids fighting to stay ‘free’ from human control. Markus has a knack for leadership, and he grows the resistance (known as Jericho) into something more significant. His story focuses on what kind of leader he is to be. Anarchist or Pacifist? Does he want acceptance and co-existence with humanity or to replace it? A machine uprising following self-awareness is not exactly a fresh take, especially in video games, but what you do with that take is where the inherent value of it lies. Detroit Become Human Review: An Electric Dream? Your choices, both big and small, shift the story about. Detroit is not the deepest, nor the most subtle, look at its subjects. This is a game that follows filmic cliches to the grave in fact on multiple occasions. Yet it’s still a highly enjoyable experience and has a fair few flashes of something profound and clever (the main menu system is a personal favorite touch). Of course, this is a video game, and while stories that accentuate and progress what the medium is capable are always welcome, you don’t have to be ‘better than Hollywood’ to succeed at telling a decent story in a video game. The connection is not through mere words or images. It comes from the interaction, the control that no other medium affords you. It’s why, despite being heavily flawed, and often incoherent, Quantic Dreams’ previous efforts still managed to make an impact. Detroit is a far steadier piece of storytelling than Heavy Rain or Beyond: Two Souls, and while it is still very much a David Cage game, occasionally laughable flaws and all, it’s the most refined version of that to date. 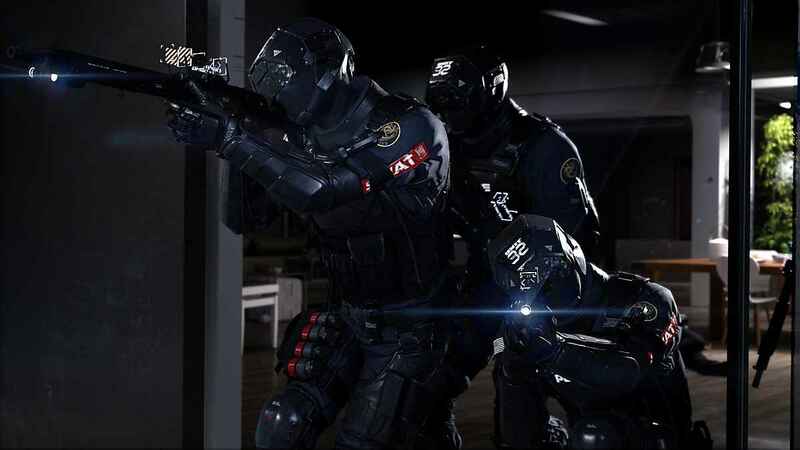 Quantic Dream has delivered its most consistently focused game to date with Detroit Become Human. It does suffer for some ham-fisted allegory and a couple of instances of appallingly mawkish dialogue, but that never overwhelms the overall enjoyment you get from its entertaining branching narrative. The story is not the most subtle, nor nuanced, take on discrimination, slavery, and machine self-awareness you'll find, but it is often surprisingly poignant and touching when Cage and his team nail the blend of video game and cinematic experience.